In January 2012, the Society of American Archivists (SAA), the national professional association for archivists and other information professionals responsible for historical records, approved the formation of the Students and New Archives Professionals Roundtable (SNAP). A much-needed and welcome resource for those considering, actively pursuing, or transitioning into the archives profession, SNAP was founded by its current chair, Rebecca Goldman, who is also Media and Digital Services Librarian at La Salle University in Philadelphia and the author of the popular archives webcomic Derangement and Description. The Archivists Round Table of Metropolitan New York recently chatted with Goldman about her decision to form SNAP, SNAP’s goals and future direction(s), archival education and professional involvement, opportunities for students and new professionals in the tight job market, and other SNAP-ish themes. ART: What was the main impetus for your establishing the SNAP Roundtable? RG: Ever since my first Annual Meeting in 2010, I’ve been thinking about the representation of new archivists within SAA and within the profession. I put up a comic that summarized all the things I was thinking about, and it generated some good discussion, but nothing really came of it. Then, about a year ago, I read that ALA had started a Young Professionals Working Group, and thought, hey, why doesn’t SAA have a group like that? I posted my question to Twitter, Council member Kate Theimer saw it and suggested I try to start a roundtable, and the rest, I suppose, is history. Any SAA member can propose a new roundtable, but until Kate suggested it, it hadn’t really occurred to me as something that I could do. ART: The SNAP website features an impressive listing of your many goals as an organization. Looking just at SNAP’s first year, is there any goal in particular that has been or will be the main priority? What projects or initiatives reflecting this goal would you like to see happen during SNAP’s first year? I think we’ve met that second goal already&#8211the SNAP list is both a very active discussion area and a welcoming community for new archivists. We’ve also made some progress in reaching out to other SAA groups (our Liaison Coordinator, Sasha Griffin, has been really instrumental here). And SAA is definitely taking note of us. If you take a look at the agenda items for SAA’s next Council meeting, an awful lot of them mention SNAP. What’s proving more difficult is taking all the great ideas generated on our list and turning these into projects for SNAP to work on. So my goal for our first year would be to come up with a process for starting new projects: appointing leaders, documentation, tracking progress, etc. I also feel that much of the discussion has been focused on students and un(der)employed new archivists, and that our goal of supporting well-employed new archivists, as they move from entry-level to mid-career or managerial positions, has been overlooked. I’d like to keep a broader definition of new archivist in mind as SNAP moves forward. ART: As SAA’s representative student agency, it would seem that SNAP is uniquely suited to advocate for changes and/or improvements to graduate archival education programs. Has there been any discussion along these lines thus far among the SNAP leadership? If so, in what ways does SNAP envision that archival education programs could better serve their students? RG: Judging from recent conversations on the SNAP list, one of the biggest areas of concern is archival internships&#8211both publicizing the need for internship or other work experience during grad school, and making sure that internships are conducted in a way that’s ethical and educational. I would love to see SNAP produce guidelines for graduate student internships. As far as changes to the educational programs themselves&#8211we could certainly advocate for changes, but SAA doesn’t accredit archives programs, and their Guidelines for a Graduate Program in Archival Studies were just revised in 2011. Right now, I don’t see a whole lot of room for SNAP contributions in this area. ART: Although SNAP primarily serves students and early professionals who are already pursuing careers as archivists, do you intend for SNAP to also play a leading role in SAA’s outreach efforts to recruit new professionals to the archives field? What potential strategies do you think might be effective in better promoting the archives profession as a career option? •recruit related professionals&#8211people working in jobs with archives-related responsibilities who may not identify as archivists or see the need for SAA membership. These related professionals are one of the target audiences for SNAP, because their work-related needs are similar to those of archives students and new archives professionals. •promote the importance of archives to organizations and communities that don’t already have them. If you’re an organization and you want to start an archives, or hire an archival consultant, SAA has you covered. But that assumes you know enough about archivists to know why you’d need one. What about outreach to the people with the power to create job opportunities for new archivists? ART: As SNAP’s Chair, what would your advice be to students and early-career archivists looking to become more involved in the professional archives community, either at the local, regional, or national level? Aside from joining SNAP, of course. cal meeting&#8211assume that people are shy rather than unfriendly. I’d also recommend starting a Twitter account and following some archivists on Twitter (Kate Theimer has a good list to start off on Twitter). The relative merits of Twitter vs. the Archives and Archivists list has been much debated, but I will say that as a new archivist I find asking questions via Twitter to be quick, easy, and not too intimidating. Nick Pavlik is a member of the Archivists Round Table of Metropolitan New York and serves as archivist for the 92nd Street Y, one of New York City’s preeminent community and cultural institutions. Hundreds of organizations in the archives community across New York State will celebrate New York Archives Month in October with special commemorative activities across the state. New York Archives Week is an annual celebration aimed at informing the general public of the diverse array of archival materials available in New York State. Among the many activities free and open to the public will be open houses, exhibitions, lectures, workshops and behind-the-scenes tours of archives throughout the state. These special events are designed to celebrate the importance of historical records, and to familiarize interested organizations and the public with a wealth of fascinating archival materials illuminating centuries of New York history and culture. Among those participating in the event are local government agencies, historical societies, universities, libraries, and cultural organizations. Highlights in New York City include tours of the archives at the Museum of the City of New York, the Girl Scout National Historic Preservation Center, and the New York Transit Museum- a workshop on preserving family papers at the National Archives at New York City- and open house presentations at the Schomburg Center for Research in Black Culture, and Franklin Furnace Archive, Inc.
A complete list of Archives Week events and schedules in New York City can be found on the Archivists Round Table of Metropolitan New York’s website. Please note that pre-registration for some events is required. 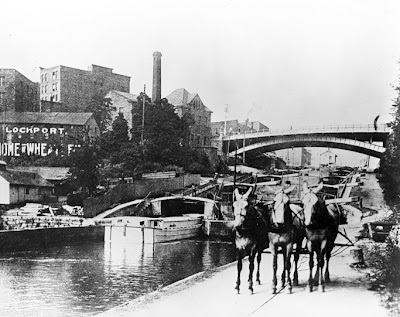 Photo: Lockport and the Erie Canal, Courtesy the NYS Archives. What follows is a guest essay by Peter Feinman of the Institute of History, Archaeology, and Education (IHARE). Over the last few months, IHARE has initiated a Dutchess County History Conference and a series of brown-bag lunches in different parts of the county. Based on the these events, I would like to make the following comments on the topic. County Executive seek to fill the position. See above. The absence contrasts with Westchester County which just reopened its redesigned archive center. This is a major project which will require outside funding. Presumably, the new County Historian would play a leading role in this process. plan appropriate program activities for the celebration. The committee is to consist of the county historian and a fair representation of the various land patents and town historians. 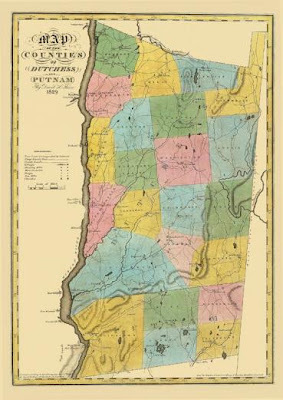 Furthermore, the legislature expressed the hopeful expectation that schools, historians and community groups would actively promote and encourage appreciation for the many aspects of Dutchess County’s past. Presumably the legislature also is expressing the hopeful expectation that a county historian will be appointed. There is no obligation to wait until 2013 to celebrate the County’s history. With the new school year fast approaching, now [meaning in a few weeks after vacations] is the time for schools, municipal historians, and historical societies to begin planning events at the local level for the Heritage commemoration beginning this October. with no Beacon Main Street Walking Tour listed. could be created for other communities in the county as well. The point is not to focus criticism on one municipality here but to use it as a case study for a county-wide issue. With Heritage Days October 23- November 1 and New York Heritage Weekend May 19-20, 2012, each community to will the opportunity to develop to create a more focused celebration of its heritage. This annual conference for social studies teachers takes place on Election Day in Cornwall. I have requested that a session in the conference be devoted to Dutchess County History and that organizations be allowed to exhibit display tables with their school programs. Even if the Board accepts my proposals, the logistical challenge of going back and forth to Cornwall for a day will discourage many teachers in the county from attending, assuming they even know about it in the first place. This raises the issue of what are the best venues for reaching teachers about local and county history including for professional development and college credit. I will be sending a version of this essay to the county schools and teachers as we get a little closer to the new school year. The president of The Finger Lakes Museum’s board of trustees announced that the project’s Founders Campaign is nearing the halfway mark in an endeavor to raise $1 million by December 31st. The drive is financing operations at the former Branchport Elementary School, including hiring staff, and paying consultants for architectural and exhibit design services. Board President John Adamski said, “The Founders Campaign was launched by the board late last year and has resulted in hundreds of donations that range from $100 to $100,000. We’re almost halfway there but there is still a long way to go.” He is asking people from across the Finger Lakes Region to consider making a tax-deductible contribution to the project. Significant funding has been received from the Daisy Marquis Jones Foundation and the Rochester Area Community Foundation. “We are also looking for program sponsors,” he added. Anyone, including regional businesses, can become a founder of The Finger Lakes Museum by making a contribution of $100 or more. Donors will receive a founders’ certificate, vehicle decal, and have their names permanently inscribed as members of the Founders Society on the Founders Wall in the entrance to the main museum building. Contributions can be made online or mailed to the museum at PO Box 96, Keuka Park, NY, 14478. The Finger Lakes Museum is an initiative to build a premier educational institution in Keuka Lake State Park to showcase the cultural heritage and ecological evolution of the 9,000 square-mile Finger Lakes Region. It was chartered by the New York State Board of Regents in 2009 and is operating from development offices in the school, which it purchased from the Penn Yan Central School District last January. 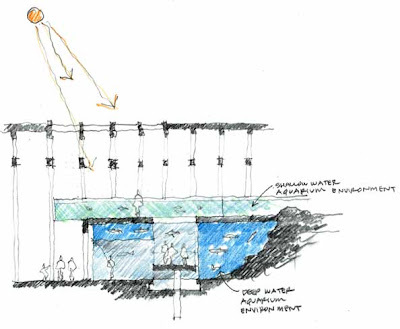 Adamski said that the project is being planned to become a primary tourist destination that will feature one of the largest freshwater fish aquariums in the Northeast. Studies show that it has the potential to increase tourism in the Finger Lakes Region and create hundreds of jobs in the private sector, he said. He also said, &#8220And John Meisch brings a lifetime of business management experience and a working knowledge of American History to the board, which balances the cultural history component. I think that we’ve hit two home runs here.&#8221 The addition of Sellers and Meisch brings the number of board members to 13. For more information or to make contact, see www.fingerlakesmuseum.org. The Albany Institute of History & Art has announced that it will offer a special discount admission program on Fridays and Saturdays in July and August 2011 as part of an ongoing effort to reach out to members of the Capital District community. On each Friday in July and August, the Albany Institute will offer free admission to all visitors during regular museum hours, from 10 am to 5 pm. There will be no charge for any visitors to enter the museum and see the galleries on the following dates: July 22, 29, and August 5, 12, 19, and 26. Additionally, the Institute will offer buy-one-get-one-free admission on Saturdays throughout July and August during regular museum hours from 10 am to 5 pm. Any adult or child visitor purchasing one admission will be entitled to one free admission of equal or lesser value. Buy-one-get-one-free Saturday dates are: July 2, 9, 16, 23, 30 and August 6, 13, 20, and 27. This program is not available in combination with any other discount or coupon offers and does not apply to group tours, facilities rentals, or special events. For more information about the summer discount admission program, please call (518) 463-4478. To learn more about current exhibitions and events, visit www.albanyinstitute.org. Free admission to the Albany Institute of History & Art is funded in part with a Museums for America grant from the Institute of Museum and Library Services, a federal agency. Trustees of the Saratoga Automobile Museum (SAM) unanimously elected Gloversville businessman Charles Montano as Board Chairman at their annual election meeting of the trustees in May. Montano becomes the fourth Board Chair of the Museum, joining the late founder and initial chairman Lewis Golub of Lake George, Bob Bailey of Diamond Point and the most recent chairperson, Jean Hoffman of Clifton Park, as head of the Board of Trustees. Other board officers elected at the meeting included Seth Rosner of Saratoga Springs as Vice-Chairman, Dr. James Hoehn of Menands as Treasurer and Robert Ensign, Jr. of Latham as Secretary. Chairs of the board’s various sub-committees will be announced at a later date. A Gloversville native, Montano owns and operates a commercial/industrial rental business with divisions specializing in apartments and luxury home development in the downstate area. He is also a well known automobile collector, with a number of “Woodies” from his collection the focus of a recent exhibit in the Museum’s Golub gallery. “Cars with wooden bodies have always fascinated me,” offered Montano. “But they only represent a segment of my collection and my interests. I truly love all aspects of the automotive world. “Charlie Montano epitomizes the caliber of leadership and automobile enthusiasm the Museum needs to continue advancing the exceptional cultural enrichment we strive to provide for our growing communities,” said Taylor C. Wells, SAM Executive Director. SAM Board members fulfilling their current terms include Bob Bailey, David Darrin, Wayne Freihofer, Ron Hedger, Jean Hoffman, Tony Ianniello, Eric King, Ed Lewi, Lee Miller, and Alan Rosenblum. The Museum is chartered by the Board of Regents of the State of New York Department of Education as a not-for-profit institution. Additionally, the Museum is a member of the American Association of Museums (AAM) and the National Association of Automobile Museums (NAAM). The Saratoga Automobile Museum is located on the grounds of Saratoga Spa State Park at 110 Avenue of the Pines. For more information, guests can visit the Museum’s website at www.saratogaautomuseum.org or call (518) 587-1935. “The regulations adopt the principle that museum collection should not be monetized for the purposes of operating expenses and assert the public trust and the public interest with respect to museum collections. This is an extraordinary moment in the cultural history of the state. The Regents, under the leadership of Merryl Tisch and Committee on Cultural Education Chairman Roger Tilles, have vindicated fundamental cultural values, and help preserve New York’s museum collections for future generations. New York is again leading the nation and the world as new economic realities endanger museum collections everywhere. Repeated attempts to deaccession collections in order to pay bills has been a painful and repeated reality. It sets forth rules that permit institutions to function but protects the public interest in collections that the public has helped assemble. The heart of this struggle has been to prevent the selling off of collections for the purposes of operating expenses. That principle has long been asserted by the museum community itself and groups such as the American Association of Museum Directors and the Museum Association of New York, have been stalwart and uncompromising in their principled positions. This victory would not have been achieved without their leadership. It is important to note that the regulations leave with individual museums the decision about what to collect and what to deaccession. What the regulations do is assure that the current economic crisis will not result in a massive shift of publicly accessible art into private hands. 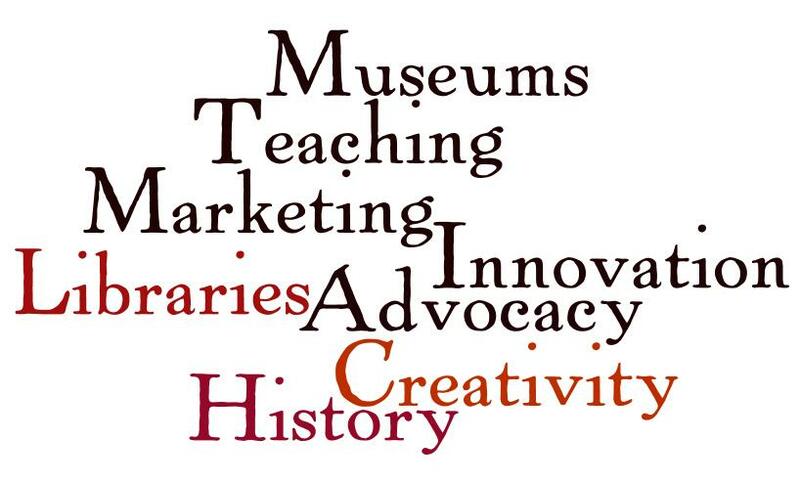 Our legislation would have extended these principles to all New York museums. There remain a handful of legislatively chartered institutions that are not subject to Regents supervision. I urge them to explicitly adopt these principles even as the Legislature continues to consider how best to set one uniform standard for all New York museums. A pdf pf the rule can be found here. Illustration: Gleyna, or A View Near Ticonderoga. 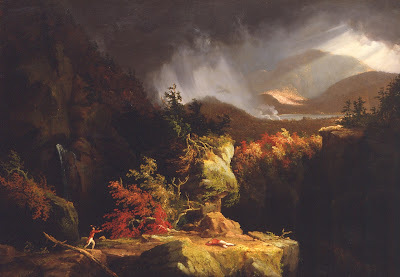 The 1826 Thomas Cole painting held by the Fort Ticonderoga Museum which faced the possibility of selling a portion of it’s collection in recent years. The Adirondack Museum is introducing two new programs just for year-round Adirondack Park residents. 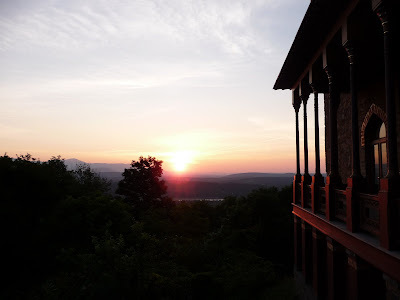 The Adirondack Museum invites year-round residents of the Adirondack Park to visit free of charge every Sunday, and on all open days in May and October. Proof of residency such as a driver’s license, passport, or voter registration card is required. 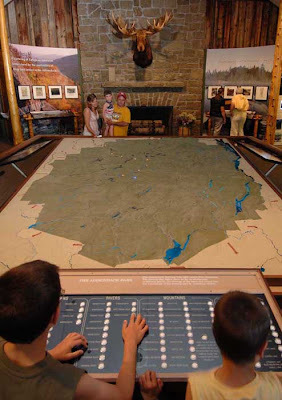 The Adirondack Museum has also introduced a new &#8220Friends and Neighbors&#8221 Adirondack Park Resident Membership Program. Year-round Park residents can now enjoy all the museum has to offer every day of the season through a very special program that makes museum membership more affordable than ever before &#8211 half the regular price at the Individual, Companion, and Family levels. Call the membership office for more information: (518) 352-7311 ext. 112 or email mbashaw@adkmuseum.org. The museum is open 10:00 a.m. until 5:00 p.m., 7 days a week, including holidays, from May 27 through October 17, 2011. There will be an early closing on August 12, and adjusted hours on August 13- the museum will close for the day on September 9. Please visit www.adirondackmuseum.org for details. Photo: The Museum’s &#8220Living with Wilderness&#8221 exhibit, photograph by Richard Walker.